We are providing well defined trained. Experienced and highly skilled packers and removalists who will handle your treasures with the utmost care. Moving your all valuable items safely with our best packing system in boxes. Delivering hassle-free shift for peace of mind. 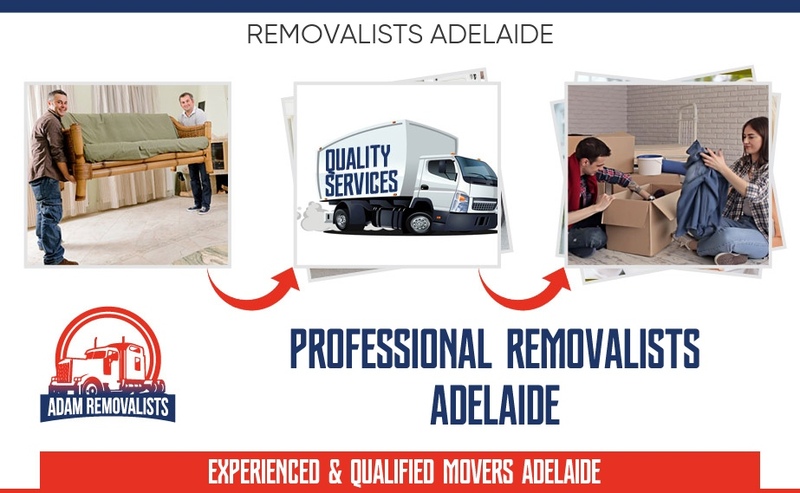 Our Adelaide Removalists team takes care of everything, from planning to packaging, loading to deliver, unloading and organizing your stuff in the new location. Adam Removalists hire only the certified and best removalists professionals in the business and each and every staff member of ours undergoes rigorous training. We are equally adept in handling heavy stuff as we are in moving delicate items. Our Removalists Adelaide team has years of experience under their belt and no job is too difficult or complicated for us. Whether you are shifting houses or offices, we can make relocating easy and hassle-free. 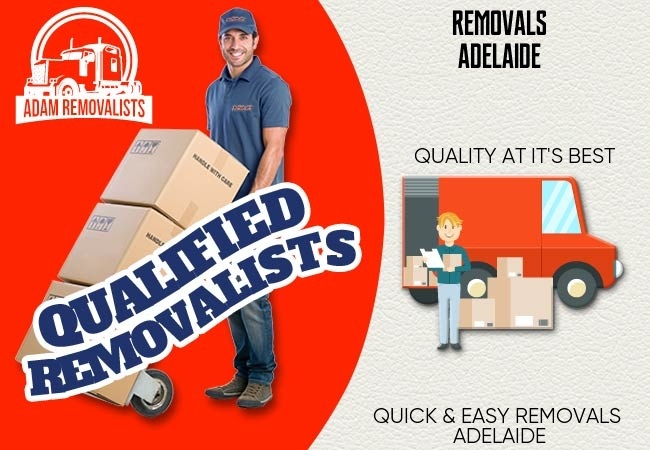 There’s no shortage of removalists Adelaide providers who promise a lot but deliver very little. You can rest assured that the Adam Removalists team is not like these run-of-the-mill removals Adelaide providers. We deliver exactly as we promise and that’s why we provide a no-obligation free quote on every job so that customers know right from the start how much they will have to spend. In addition, we also tell you how much time a moving job will need. And once we have committed a date, we move your stuff accordingly. When you select our team to move your stuff, you can rest easy knowing your stuff is in safe hands. Unlike several removalists Adelaide providers, we work 24 by 7, 365 days a week. So you can be sure that we will be always there for you whenever you have a moving need, even if it is on a holiday. And when we say cover the whole of Australia, we mean exactly that. Irrespective of whichever part of Australia you are moving to, you can count on our expert removalists Adelaide team to move your stuff. We provide packing and storage services, in addition to basic moving services. Whether you are moving to a new house or a new office, we are there to take your stuff to the new location. You can trust our professionals to expertly handle all your stuff. Adam Adelaide Removalists has solutions to all kinds of removal needs. Whether you are moving interstate, need help with moving heavy items, or want experts to relocate your office servers, our Adelaide removalists team is exactly what you need. Moving furniture is a specialist job and you can trust our removalists Adelaide experts, who have received training in furniture removal, to take good care of your expensive furniture. 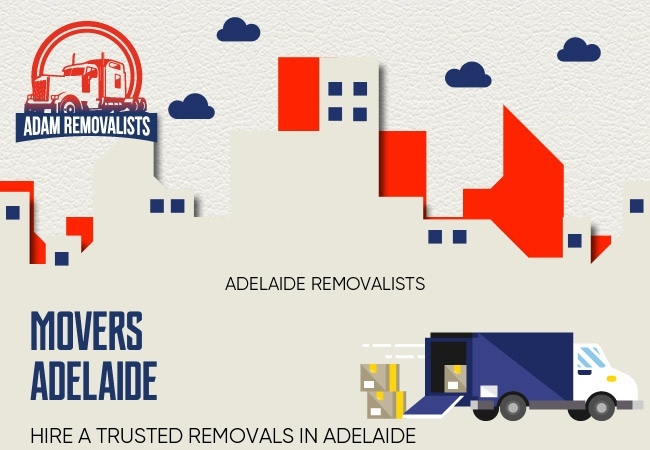 Unlike many Adelaide removalists providers, we also provide interstate moving services. We have the best removalists in Adelaide. For hassle-free interstate removals experience, contact Adam Removalists Adelaide. Piano is a heavy and delicate item. To move it from one place to another, you require trained hands. Our removalists Adelaide professionals have years of piano removal experience and they can move your much-loved piano safely. As you can see, Adam Adelaide Removalists provides the full range of services. Our motto is simple but effective: if you have any kind of relocation need, we have the right solution for you. Careful planning helps make successful moves, a fact that our movers Adelaide team recognizes and accepts better than others. That’s why Adam Removalists Adelaide team meticulously plans every relocation job, whether it is big or small, local or interstate. INITIAL ENQUIRY – Many customers feel intimidated when they have to plan a move. Maybe you feel the same way. However, you don’t need to worry as we are there to help you. Send us an inquiry, and we will get back to you to discuss your requirements in detail. In case a survey is warranted than our movers Adelaide professionals will do exactly that. FREE QUOTATION – After taking account of your needs, we will provide you with a quotation. The quotation is free of cost. DECIDE ON THE MOVING DATE – Once you are satisfied with our quote, we will ask you to inform us about the moving date and confirm your booking with us. PACKING, DELIVERING, AND UNPACKING – On the agreed date our movers Adelaide team will reach your location at the agreed time. The foreman will tell you the days’ schedule. Our experts will pack and load everything and you will be given a detailed inventory, which you will have to sign. Your stuff will be delivered on time and you will be given a progress report from time to time if moving interstate. Our removalists Adelaide will unpack your stuff at the new location. FOLLOW-UP CALL – Twenty-four or forty-eight hours after delivering and unpacking your stuff at the new location, a customer service representative will call or email to you to ensure you are completely happy with the service provided by our removals Adelaide We will also ask you if you have any queries regarding your move or about the new location. Once you have assured us that you don’t need anything else, we will request you to give us feedback. Our team of furniture removals Adelaide is always willing to be flexible as per your needs, and this includes re-arranging pickup schedule and making additional stops. Unlike many other furniture removals Adelaide providers, Adam cheap furniture removals Adelaide don’t charge any hidden fees. We tell you the cost upfront and stick to that. We understand better than others that moving needs of no two customers is the same. Therefore, we offer our customers customized moving plans. Adam Movers Adelaide makes interstate moving easy and comfortable. There’s no part of Australia where we don’t go. Whether you are moving from Canberra to Adelaide or Sydney to Hobart, you can count on our staff to move your stuff professionally, quickly, and hassle-free. Adam cheap removalists Adelaide offer top-class service to our customers, irrespective of the nature of the job. At the same time, our prices are very competitive. Moreover, with Adam cheap removalists Adelaide, you’ll get a no-obligation quote free of cost. Yes, that’s right. 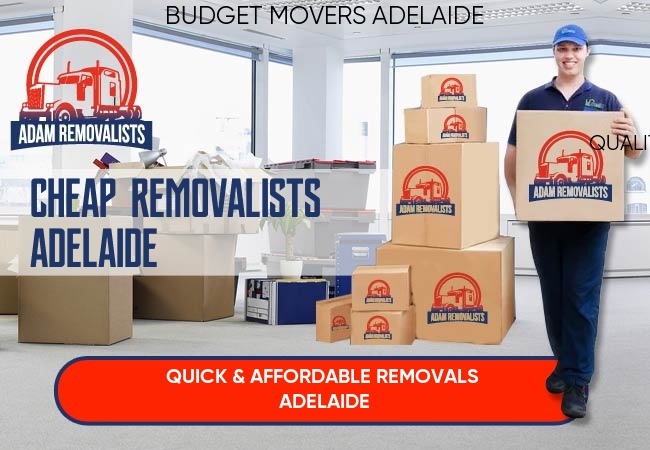 Adam budget Removalists Adelaide charges exactly what it quotes—no exception. Each of our movers Adelaide specialist undergo rigorous training. We take great pains to train our staff because we want our customers to receive top-class service. In addition to highly-trained staff, we also boast of using only the latest, most advanced equipment.